This week, we're sharing a few things that we're buying for others, and a few that we're secretly hoping to find under the tree for ourselves. Need help with your holiday shopping? Contact our concierge here to find the perfect gift, or stop by our Holiday Shop at 123 Newbury St. in Boston. We'll be open from December 7-23 to help you find the perfect gift! Conde Nast Traveler Style Editor Matt Hranek (aka @wmbrownproject)'s new book tells the story of 76 men and the watches that they wore throughout their lives. Matt traveled the globe interviewing friends and family members to learn not only about the craftsmanship and styling of these timepieces, but the historical moments and personal stories that accompanied them. "Paul Newman wore his Rolex Daytona every single day for 35 years until his death in 2008. The iconic timepiece, probably the single most sought-after watch in the world, is now in the possession of his daughter Clea, who wears it every day in his memory. Franklin Roosevelt wore an elegant gold Tiffany watch, gifted to him by a friend on his birthday, to the famous Yalta Conference where he shook the hands of Joseph Stalin and Winston Churchill. JFK’s Omega worn to his presidential inauguration, Ralph Lauren’s watch purchased from Andy Warhol’s personal collection, Sir Edmund Hillary’s Rolex worn during the first-ever summit of Mt. Everest . . . these and many more compose the stories of the world’s most coveted watches captured in A Man and His Watch." Our Alpine Winter Trouser is the ski pant that should be in every gentleman's closet. Featuring a warm herringbone wool exterior, and technical interior that'll keep you warm and dry in all conditions, this pant is a super handsome take on the modern ski pant. New this year in XXL. This gorgeous coffee table book tells the stories of the Series Land Rover and Defender, two cars that we've had the pleasure to work with in the past, and have since fallen head over heels for. From the history of these iconic vehicles, to the people who know and drive them, this is one book we're hoping to add to our library this year. Our favorite socks on earth, these Darn Toughs are still knitted in the Green Mountains of Vermont. These fast drying, cozy wool socks are backed by a lifetime guarantee...We're into them for around the cabin or with leather hikers for winter. A safe bet for pretty much anyone on your shopping list, our Alpine Guide Sweater is a handsome and pulled together piece that works well on Monday morning in the office, or Saturday at apres. With durable waxed canvas at the shoulders, and a soft lambswool hand, this piece is versatile, durable, and highly gift-able. If you can't be James Bond, at least you can dress like him. 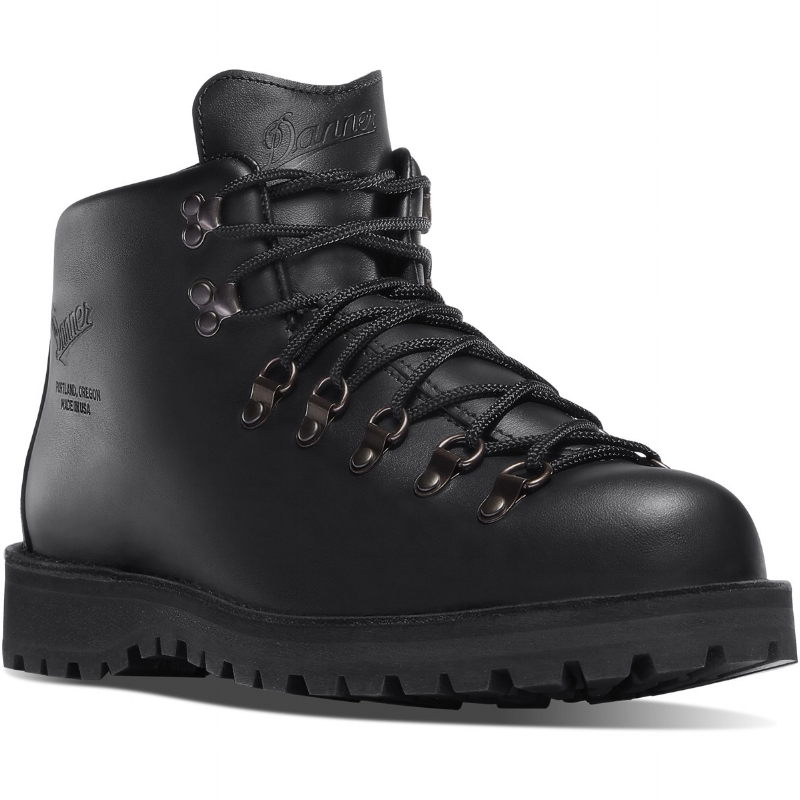 You might remember these handsome all black hikers from Spectre. We love them for to-and-from with our Grey Alpine Winter Trousers in the mountains or with denim for the city.